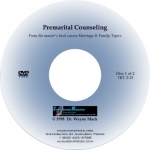 Foundational biblical principles about marriage, taught by Dr. Wayne Mack. Man’s view of marriage vs. God’s view of marriage. How a Christian husband and wife should line up their expectations in a marriage to God’s. 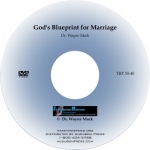 Single DVD (TRT 55:40). Note: This video lacks the picture quality that you would see with our courses (and some of our other videos), which were professionally videotaped.